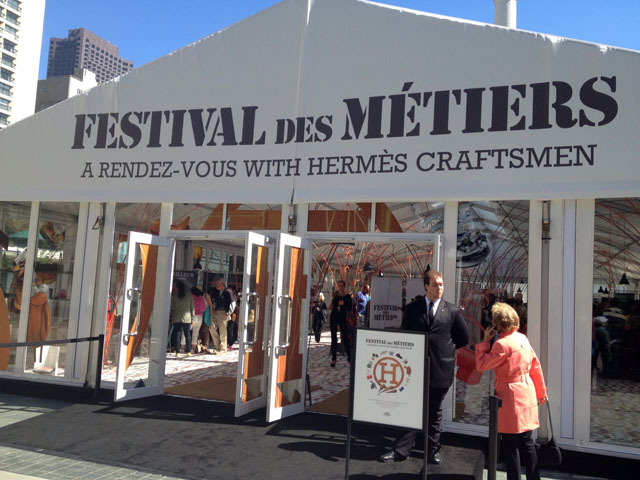 Look what I stumbled upon in Union Square San Francisco back in September 2012 – Festival des Métiers A Rendez-Vous with Hermès Craftsmen. 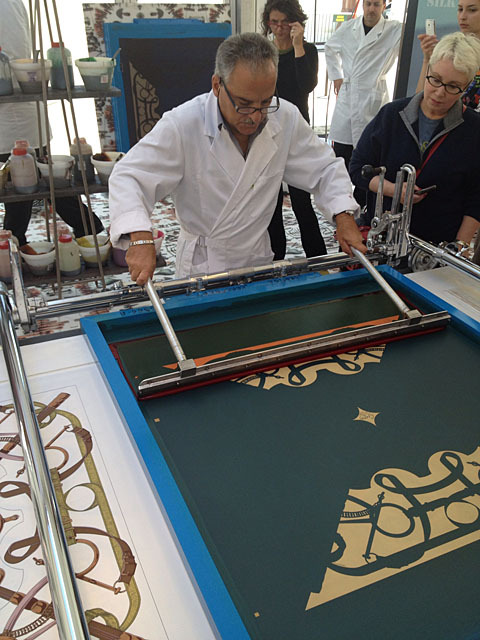 Various craftsmen from Hermès where there demonstrating their particular craft, Hermès scarves, jewelry, ties, their coveted handbags, etc. The scarf making process, each color has a different mask. Yes please. 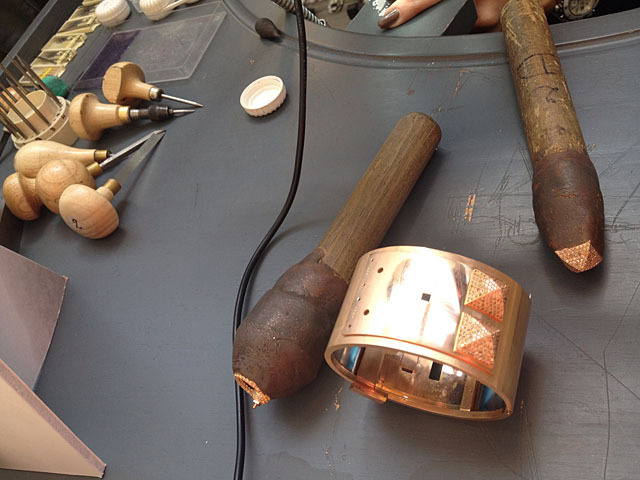 CDC cuff in rose gold with pavé diamonds. 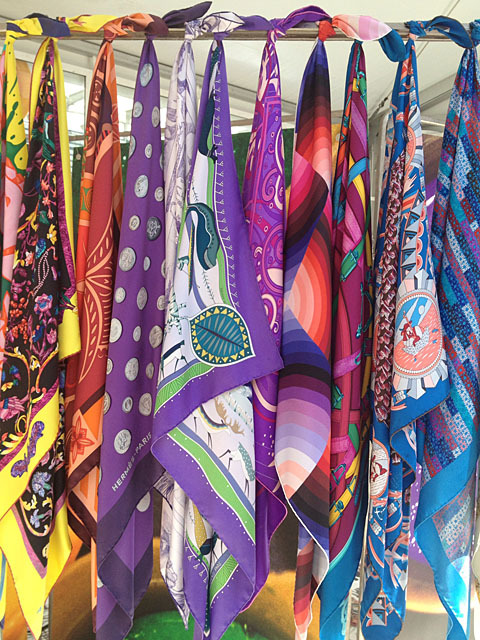 Beautiful scarves just hanging around.